We stock a range of traditional Rubber Dog Toys used for fun and play, exercise, boredom relief and to encourage harmless chewing, but also innovative rubber toys designed to stimulate and hold your dogs attention, including interactive dog toys that allow owners to become part of the action, making playtime fun for everyone. All our dog toys are made using non-toxic rubber, including the range of classic Kong toys that are used and recommended by dog trainers and veterinarians to help manage behavioural problems by stimulating your dog's natural instincts, encouraging them to play, explore and have fun with their owners. Whatever you are looking for we're confident you'll find a dog toy suitable for your dog's or puppies needs for example toys designed to be thrown, fetched, chewed or pulled that will provide a safe outlet for your dogs energy and help keep them occupied, mentally stimulated and out of mischief, for example the beehive shape of a Kong makes the rubber dog toy bounce unpredictably, whilst the smell of natural rubber encourages harmless fun and chewing. 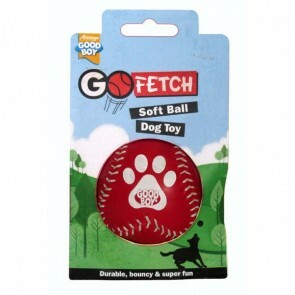 We simply have everything your dog needs to keep them active, healthy and happy at great prices, including rubber bones, balls, rings, tyres and dog pulls in various sizes, but also rope balls and floating retrieval toys that allow you to throw the dog toy long distances with ease, play tug of war and fetch games. 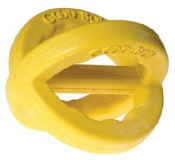 Rubber Toys: 5 stars out of 5 based on 5 user reviews. This is one amzingly tough ball! We have a collie cross rescue dog who can destroy a tennis ball in about a minute and a normal rubber ball in not much longer. While we still need smaller rubber balls to take out for a walk (this one is a bit big for the ball thrower and I can't throw far enough without that! )this one is brilliant for her to play with at home. We just leave it out for her to play with when she's out in the garden and there is no damage at all even after a couple of weeks of Cassie's sharp teeth. I am really pleased with this ball, we have two very energetic collies, who love playing ball, in the past i have bought several balls for them, but they never lasted very long as after a few games, the dogs chewed them to bits, this ball however will last for ages, its so hard, they've played with it for about two weeks now, and theres hardly a mark on it, well worth the money!